Pokemon: Magikarp Jump may have never reached the astronomical success of Niantic's AR-based hit Pokemon Go, but the game certainly held its appeal for a more casual audience, providing a simple and relaxing gaming experience sprinkled with humor and nods toward Pokemon series fans. Magikarp Jump has given players a chance to train in a very different sort of fashion from other games, and thanks to its incoming final update, fans will be able to take on the game's Final League and pick up new support Pokemon Mimikyu and Gardevoir. What's New In The Final Pokemon: Magikarp Jump Update? Players may not have known that the end of Pokemon: Magikarp Jump wasn't really the end; fortunately, now that we know it wasn't, the true ending has been revealed. The game's Final League will be the biggest challenge Magikarp Jump players have faced in the game yet, but completing the tournament will unlock the game's true ending, the likes of which we won't be revealing here. As with the rest of the title's gameplay, getting there won't necessarily be easy. Fortunately, the developers have added in two exciting new Pokemon to help guide the Magikarp on their paths to glory: Mimikyu and Gardevoir. Like with the other support Pokemon in the game, these creatures will be available for purchase by spending Diamonds in the in-game shop. Players diving into the shop will also find a selection of new items and decorations available for purchase, as well as a few new types of food that can be purchased with coins. There will also be two new training exercises help beef up scrawny Magikarp: Steelix Push and Tackle Machine. The team has also added in new special events for players to stumble upon, and though we don't know exactly what they entail, chances are good they'll be as random or humorous as many of the other Pokemon: Magikarp Jump special events. On top of all that, the developers have also added in a selection of new Magikarp patterns, which is great for all of those players looking to collect 'em all. 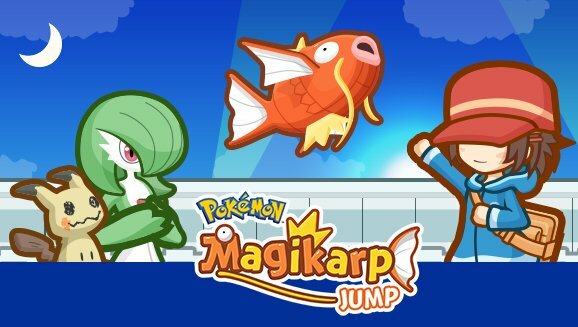 Pokemon: Magikarp Jump is still available as a free download on both Android and iOS devices, and the title's final update file should already be available to devices running the game. Pokemon: Magikarp Jump is one of our favorite freebie mobile games. To find your next favorite, scope out some of the other great titles we've featured on our list of the Best Free To Play Games.